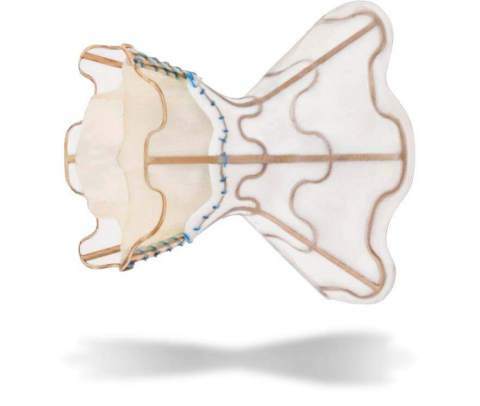 CAESAREA, Israel--(BUSINESS WIRE)--V-Wave Ltd, maker of an investigational interatrial shunt device for patients with advanced heart failure (HF), announced today the results of its first human implants were published in The Lancet. The study, performed at the Quebec Heart and Lung Institute, Laval University, Quebec, Canada, was led by structural heart disease expert, Josep Rodés-Cabau, MD. The first 10 consecutive patients had Class III symptoms despite being treated with maximally tolerated HF medications and had poor left ventricular function. All were successfully implanted with the shunt during a minimally invasive procedure that took generally less than one hour, and were discharged home the next morning. There were no device-related adverse effects. After three months, patients had significant improvements in symptoms, exercise capacity and quality-of-life assessments. Catheter measurements showed lowering of left atrial pressure without deterioration of right heart function. These findings are consistent with the shunt diverting just the right amount of blood from the left-side to the right-side of the heart. HF is the end-stage of most forms of heart disease, affecting six million Americans. Despite advances in therapy, premature death, recurrent hospitalization and deteriorating quality-of-life remain a growing problem and represent a large burden to healthcare systems. V-Wave also announced the names of four Co-Principal Investigators who will guide the company’s future clinical trials program. Gregg Stone, MD, Professor of Medicine at Columbia University is an interventional cardiologist and structural heart disease specialist. Joann Lindenfeld, MD, Professor of Medicine at Vanderbilt University and current President of the Heart Failure Society of America. Stefan D Anker, MD, Professor for Innovative Clinical Trials, University Medicine Göttingen, Germany, is Councillor of the Board of the European Society of Cardiology. Josep Rodés-Cabau, MD, Associate Professor of Medicine at Laval University, Quebec, has the most experience implanting the V-Wave Shunt. All are experienced and widely published academicians, noted clinical trialists and recognized authorities in their specialties. V-Wave Ltd., is a privately-held medical device company with offices in Israel and the U.S. Venture investors include BRM Group, Pontifax, TriVentures, Pura Vida Investments, BioStar Ventures and strategic investors Edwards Lifesciences and Johnson & Johnson Innovation – JJDC Inc. For further information, visit www.vwavemedical.com. This press release contains forward-looking statements that involve risks and uncertainties, including statements related to clinical development and potential regulatory approval of V-Wave’s products. All forward-looking statements are based on information available to V-Wave as of the date hereof, and the Company assumes no obligation to update any such forward-looking statements or information. The company's actual results could differ materially from those described in the company's forward-looking statements.